An old stone church on an island. 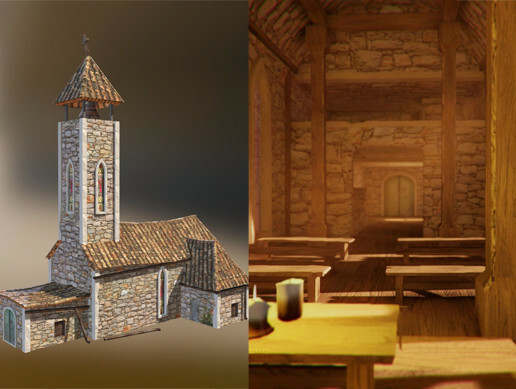 The church comes in two versions - with interior and without interior (with LODs). Works well with our Graves, Fences and Tombstones Pack.